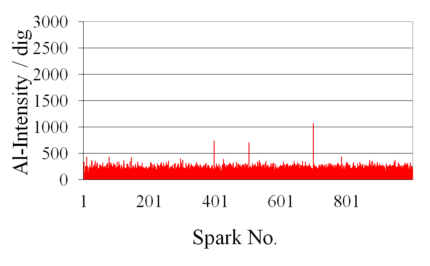 This combined method of time-resolved single spark spectrometry, referred to as GISS (Gated Integration of Single Sparks), is a standard feature of our QSG 750-II model – and this applies to every single GISS channel. The single spark spectrometry allows the determination of non-metallic inclusions in the examined samples. The time-resolved spectrometry allows a significant reduction in detection limits and improving analysis accuracies. 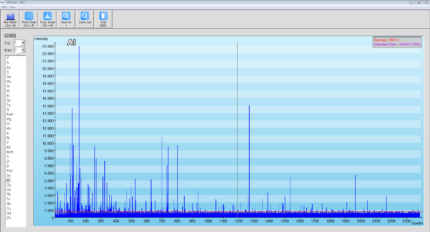 The graph on the left shows the first 1,000 aluminium intensities of a steel sample with just a few aluminium oxide inclusions. 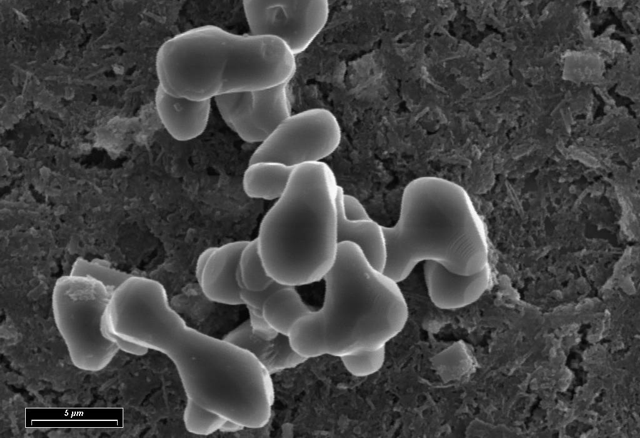 The graph on the right stems from a sample with numerous aluminium oxide inclusions. 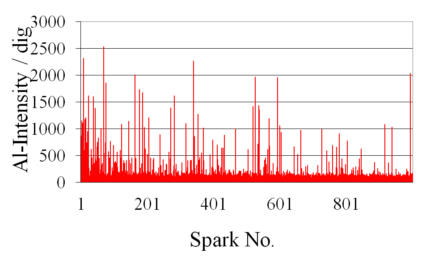 Every time an inclusion is hit by a spark, the local vaporisation process results in a sudden surge of the inclusion material into the plasma. This results in high intensities of the elements making up the inclusion. Special software tools can be used to evaluate the logged data and thus deliver information about the inclusion situation within the sample. Spectrometers of the type QSG 750-II, GS 1000-II (equipped with the optional Mini-GISS technique) and VeOS (as an option) provide special software functions that permit immediate on-screen graphic display of the single spark intensities of all analysis channels and exposure times of the analysis in progress, as can be seen in the screenshot on the left side. Statistical functions can be used to interpret unusual pulse-discriminated plots as, for instance, are indicative of inclusion elements. An easy-to-use formula editor ensures inclusion parameters can be freely defined. This opens up many options for the user, e.g. early detection of samples or sample batches that contain interfering emissions before the materials can be further processed. 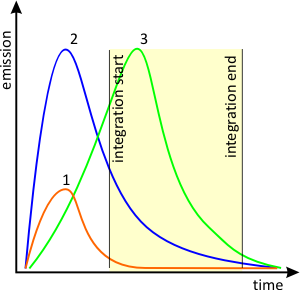 In addition to PDA, the software in spectrometers of the type QSG 750-II also makes it possible to freely define the starting point of the integration periods of individual sparks for each GISS channel, as a result of which the emitted light will only be detected in certain, discrete time windows. The main aim of this “time-resolved spectroscopy (TRS)” is to improve the signal-to-noise ratio so as to guarantee the lowest possible detection limits for each element by intelligently screening-out signal bandwidths that display a high degree of background radiation (1). However, finding out which time windows are the best for each individual application is not something we leave to our customers. Instead, we have already done the work involved – for all common analysis lines in the most diverse matrices.